Wilco is an ISO 9001:2008 company. 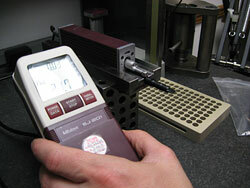 All parts are inspected with certified/calibrated equipment. We use a Wenzel Smart CMM, a MicroVu system, a Vari-Roll for gear checking, surface gauges, and other various high precision equipment for measuring critical dimensions. Wilco can also handle your approval process for part verification utilizing First Article Inspections, 30 piece capability studies, and other components of your PPAP (Production Part Approval Process). 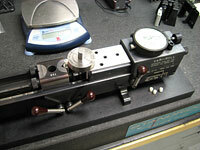 Specialized fixtures and testing techniques can also be implemented if required. All manufactured lots are inspected to an A.Q.L. determined by the customer to achieve the certificate of compliance for each lot shipped. Certificates of compliance from the manufacturer are on file for all resin lots used which can be sent to the customer with each shipment, if necessary.